In Aleta's post she found some great videos to supplement her blog. Most of these videos talked about how education is not keeping up with the present day. The world is changing and we need to change with it, rather than staying stuck int he past. In a YouTube video she found Andreas Schleicher made the point that we don't need to try to teach kids everything because Google already knows the answer. This made me chuckle. Rather trying to cram students brains full of information, we need to teach kids to apply their knowledge in new situations. She also found a strategy by Dr. Pravin Bhatia that sounds like what I have heard of as jigsaw. I didn't think about using this in a makerspace, but it does sound like it would be perfect to wrap up students thoughts and share what they are learning. Anastasia gave a recount of her personal learning experience with technology. I really appreciated this because I believe everyone can relate to it in some way, even if it is with something other than technology. She explained that she learned technology because it was a requirement to get where she wanted to be. You learn things to get better at something you want to get better at. I love the quote she picked: “Piaget reminds us that knowledge is the consequence of experience. Working on personally meaningful projects, within the curriculum or as a hobby, is a powerful way to learn.” Learning is a natural process of doing something you enjoy. I think this is a huge takeaway for me in realizing that student learning does not have to look like what everyone envisions in a classroom. Students can do things they love, learning will just look different. But, this does not mean that they are not learning. She also found a list of 15 characteristics of a 21st century teacher that I also found. This is a great list and I picked 3 that I have been looking into more: Twitter, PBL, and coding. Teresa commented on my blog about the camaraderie of this class. A lot of 21st century learning is based on collaboration and peer support. You work together and I believe this class fosters that idea. Even though we can't physically meet in the same location we are able to work together and trouble shoot. It is always nice to know that others are working and struggling the same as you are. Gerald gave me some resources for coding that I will be checking out. ​Essential Question: How have you , and will you continue to “Learn the 21st Century” and allow your students this experience in your classroom? The first thought that came to my mind this week related to the end of my post last week. "Teachers are the last adults in the industrialized world to use computers" (Martinez & Stager, 2013). With this in mind teachers who want to incorporate new ideas or devices become the "pioneers." They are the first to try these things and often are criticized for it. These educators are not of the norm and this can be hard and lonely for those educators to endure. Another big setback is that many educators did not grow up with the technology that is available today. This means they must learn a whole new set of skills. "It is impossible to teach 21st century learners if you have not learned this century" (Martinez & Stager, 2013). So my next thought became what exactly defines a 21st century teacher? Luckily there are many list but I really like one written by Palmer (2015) on Edutopia. She came up with 15 characteristics of a 21st century teacher. I highlighted in red the 3 things that intrigued me the most. They have already been on my radar. I used Twitter chat in a class last fall. I found that the class that used Twitter increased their test scores more than the class from the previous year. However, this was a small set of data and would need more testing to confirm but it is encouraging. "Students compare information from different sources before completing an assignment"
"Students draw their own conclusions based on analysis of numbers, facts, or relevant information"
"Students try to solve complex problems or answer questions that have no single correct solution"
"Students give feedback to peers or assess other students' work"
"Students convey their ideas using media other than a written paper (such as posters, blogs, or videos)"
"Students answer questions in front of an audience"
"Students generate their own ideas about how to confront a problem"
Even more encouraging, is that "all the PBL teachers in the study have provided professional development to colleagues. These early adopters of PBL are walking the talk when it comes to collaboration and lifelong learning" (Boss, 2012). This meets one of Palmer's (2012) 15 Characteristics of a 21st Century Teacher (collaborate). All of this research really encourages me to make a strong effort to try more PBL, even if only on the small scale of one class at a time. Coding is something that I am only beginning to dabble in. It is not something I feel like I could incorporate in my classroom without understanding at a basic level. Because, to be honest, I don't really understand how it works and would have no idea where it would fit in my science curriculum. Rushkoff (2012) suggests codeacademy to learn some basics. I have looked at their stuff and now I will have to look at it more. I do have to pick another elective class to teach and maybe I could try out coding. I see that codeacademy has the ability to set up a classroom. Rushkoff (2012) argues that coding is so important because "code literate kids stop accepting the applications and websites they use at face value, and begin to engage critically and purposefully with them instead." He says that "when we acquired language, we didn't just learn how to listen, but also how to speak. When we acquired text, we didn't just learn how to read, but also how to write. Now that we have computers, we are learning to use them but not how to program them." If we know the basics of code we can start to interact more and use the internet to fit our needs. We don't have to accept what is given to us. Overall I think 21st century learning is about changing how we view education. We have to try new things. We also have to be willing to let students teach us a thing or two as well. If students and teachers enter into a partnership where both parties share responsibility I think students will be more likely to feel empowered to learn at a deeper level. Gerald did a great job connecting his school's vision to why the schools would benefit from a makerspace. This was a great idea and really made a compelling argument that could be taken to administrators. He also talked about starting the makerspace with what the school already had. Then other things could be added based on student interest. This way money and time would not be wasted getting and learning about materials students could care less about. The video he shared was very powerful in that is showed some of the materials that I have just purchased to play around with. I just got a makey makey and a little bits kit, both of which were in the video. The more and more I read and watch about makerspaces the more on board I get to turn my classroom into one. I have had such great success with donorschoose that I imagine I could get a lot of stuff from there. Especially since one of their vendors is amazon. Genevieve used the advice from Invent to Learn about how to phase things to make a makerspace seem that much more important. Even if it is the same thing I would have thought to say, the way it was put in the book made it feel that much more convincing. So much of what I read seemed intuitive. When I read the statements they made sense, but the problem was there wasn't proof. For someone in the classroom you may not need proof, but thinking to those on they outside they may not agree with statements that have no evidence. Genevieve started out with one really good piece of evidence: "creativity and STEM-based making are top priorities for today’s young people, according to business leaders, politicians, and futurists (Martinez, et.al, loc. 4191)." My suggestion to her was that she either find studies that show the importance of PBL (there are a lot of studies on this) or find quotes or videos with anecdotal evidence that support a makerspace. 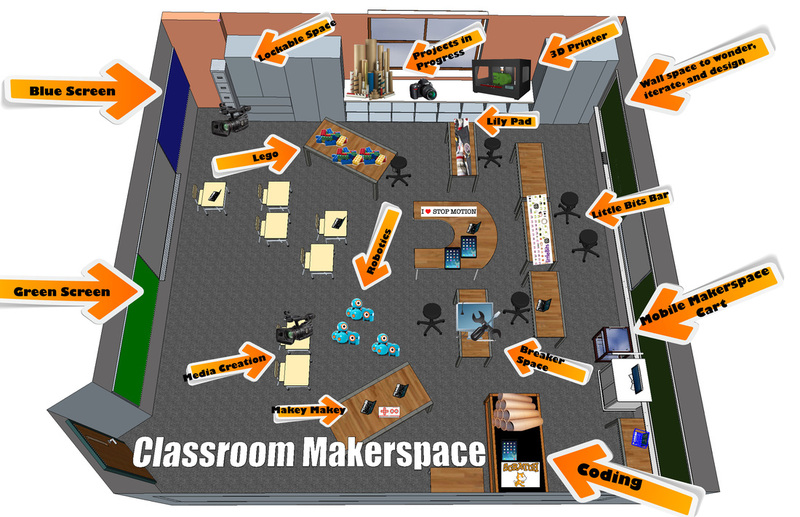 In my opinion, this would help outsiders see a clearer picture of the importance of a makerspace. Hopefully this would be enough to convince them to support it. Teresa shared an amazing article on brain research that had a video (below). It literally blew my mind. Our brain is not that big and for scientists to have discovered 97 new regions seems crazy to me. Our brain is so complex, and I feel like I know nothing about it. Maybe some of this research could be used to help give evidence for making? This week I was also able to post a video about my experimentation with Lego Mindstorms. This is such a great resource my school already has, as I borrowed the kit from the school. I also experimented a little bit with the LittleBits Arduino Coding Kit. I have not done much but really appreciate this kit because it allows you to get into the coding while not having to mess with the wires. The wiring is already in magnetic blocks that you just connect. This makes the "circuit" building part easy. Hopefully this week I will get into this kit more. Essential Question: Why does “YOUR SCHOOL NAME HERE” need a makerspace? "Traditional direct instruction focuses on content knowledge, while maker-centered learning orients around the learner's context. It's a framework for learning that can be applied to any content. It allows the learner to actualize his or her own ideas" (Chang & Ratliff, 2016). This means that students are learning things, and they see how their learning fits into the world. This is a skill that traditional learning does not afford students. "We, as teachers, have the opportunity and responsibility to design engaging learning experiences that address the needs of our youth, and maker education is easily accessible, widely applicable, and highly adaptable to educators and learning environments of all kinds. At its best, a maker curriculum is interactive, hands-on, youth-driven, and open-ended" (Chang & Ratliff, 2016). "Studies comparing learning outcomes for students taught via project-based learning versus traditional instruction show that when implemented well, PBL increases long-term retention of content, helps students perform as well as or better than traditional learners in high-stakes tests, improves problem-solving and collaboration skills, and improves students' attitudes towards learning" (Vega, 2015). "A 2014 study compared college-level biology courses taught in a traditional lecture format with an active-learning format (providing more student guidance and interaction) and found that when active learning was used, average exam scores increased, with black and first-generation students benefitting the most" (Terada, 2016). "A 2009 study found that eighth-grade students who were involved in hands-on science projects demonstrated a deeper understanding of concepts than students who were taught with traditional methods such as textbook readings, lectures, and tests" (Terada, 2016). "According to a study done in 2015 Students who participate in science experiments, instead of just observing them, have a deeper conceptual understanding of science. Through brain imaging, researchers found that physical experience activates the sensorimotor region of students' brains, which helps reinforce what they're learning. If students use their hands as well as their minds, they're essentially learning twice" (Terada, 2016). According to Root-Bernstein, R., & Root-Bernstein, M. (2013) their analysis of SAT scores from 2006 shows that students in 4 years of HS arts or music classes have a 100-point advantage over the average SAT score, whereas four years of science confer have 69-point advantage. "The deepest and most closely held beliefs about learning come not from research reports, but personal experience." (Martinez & Stager, 2013) This makes it hard to give proof for a makerspace, in the sense that proof has been given in the past (data). It is hard to put grades on thoughts, ideas, and experiences. It is even harder to assess 20 different projects or experiences in the same way. Making is about creating things that are of meaning to the learner, and it is hard to assess this with a value or score. So how do we prove learning in a makerspace. The best evidence is anecdotal. This means we need to ask the makers and observers. ​"At Albemarle County Public Schools, making fosters student autonomy, ignites student interest, and empowers students to embrace their own learning. 'One of the things that we've discovered is that maker education with kids gets them engaged, gets them passionate about the work, gives them opportunities to pursue things that they're interested in,' says Superintendent Pam Moran. 'And as a result, it really raises the level of work that kids are doing, and it starts to make sense. School makes sense'" (Terada, 2016). Here is a short video about Albermarle County Public Schools and a maker education. Some additional anecdotal evidence comes from looking at famous scientists. Take for example Walter, Alvarez ad doctor and physiologist. He sent his son Luis to an arts and crafts school instead of an elite academic school. At this school Luis took industrial drawing and woodworking instead of more "academic" subjects like calculus. Luis Alvarez won the Nobel prize in physics in 1968. "He attributed his success to an uncanny ability to visualize and build almost any kind of experimental apparatus he could imagine" (Root-Bernstein, R., & Root-Bernstein, M., 2013). Is Luis the only one who had an experience like this? The answer is no. Einstein and Swedish biochemist Hans von Euler-Chelpin also experienced success by learning through arts and crafts, which can be a part of making. "Arts and crafts develop such skills as observation, visual thinking, the ability to recognize and form patterns, and manipulative ability. They develop habits of thought and action that include practicing, persevering, and trial-and-error problem solving. They pose new challenges, such as those that intrigued Rood, Ostwald, and von Euler-Chelpin. And they provide novel structures, methods, and analogies that can stimulate scientific innovation" (Root-Bernstein, R., & Root-Bernstein, M., 2013). Even though this only talks about arts and crafts it is still part of the maker movement because a maker movement is really about doing something that makes sense to the learner and this could include arts and crafts. This week was a very interesting assignment. After reading so much about making I feel more prepared to implement either a maker day or add to some of my classes. I have just purchased a makey makey and a little bits kit for arduino. I am really excited to try out some new technology. The arduino has been getting a little frustrating. This week I took a little bit of a break and explored lego robotics. I borrowed the kit from our school before leaving. I had a lot of fun with this one. I think it was more fun because I made something on my own. The coding is block coding and much easier. Josie talked about having her maker day at the park. This is such a great idea because I think it would encourage more community members to come. I only wish there was a park in the community that I teach so that I could steal this idea. I did suggest that she have more help with planning. I was unsure of if she meant that others would be part of the planning or not. She talked about having people help out with each station which would definitely help people feel more comfortable. I think it is important to have a team help with planning because there is really too much for just one person to plan. Especially with trying to get sponsors. Sponsors are huge to keeping maker days sustainable and being able to have them more than once. Anastasia had a good idea of setting up a planning meeting and then delegating jobs from their. This is a good way to get input from others while also spreading out responsibility. Planning a maker day alone would be a lot of work and would be a way to burn yourself out the first go around. I also like how she mentioned the schedule in the toolkit. This schedule is stuck in my mind but I did not write about it. I used it more as a framework. I have never experienced a maker day and it is hard to plan something you only know from reading. The schedule really helps me to visualize what a maker day might look like. Essential Question: What would you need to coordinate a “Maker Day” for your school? Leadership Team-For my setting, if possible, this would include me, my site administrator, our tech guy, at least one maintenance worker, at least one more teacher (non-native), at least 2 adults from the community (could be a teacher), and at least one student. Stager & Martinez (2013) suggest to "involve kids in as much of the planning, organizing, and running of the Maker Day as possible." This would be a total of 8 people to help organize and plant the event. Host Organization-The host organization in this case is easy, as it would be the school. Location-Since the host organization is the school it would be at the school. The school would have the majority of the materials and it is really the only space big enough to host something like this. Unfortunately outdoor space may or may not be able to be used. Weather is so unpredictable that this could not be guaranteed. Date & Time-The article suggests a weekend so maybe a Saturday. And they also suggest a time frame of 10am-3pm. For the community I live in this may be a bit on the early side so I would probably push it back to 11am-4pm. Resources-This is where it would be helpful to find sponsors. This could include our stores, CVRF, or TC (tribal council) to name a few. They could donate supplies or money to help buy supplies. I would not charge admission because people might not come and I would hate to exclude anyone. If we needed to make more money we could also have a concession stand run at the event. This is usually a huge money maker at my site. We could also come up with more fundraisers if necessary. For a first time event I would like to keep costs to $1000 or less. For a first time event I think we would be lucky to have 100 people show up. I think to get attendance up snacks are a must. Stager & Martinez (2013) suggest homemade snacks if possible. This is definitely possible in a village people do not get upset or tamper with homemade stuff. The next step is what would people do at a maker day? The following website, Maker Challenges (http://www.makerspaceforeducation.com/), has so many resources and even has a list of 19 challenges. I would definitely want to incorporate some of these as well as some native making projects. I think in the future it would be cool to incorporate design thinking. However, to start out with this would be a challenge. No one is used to this type of an event or even the process. Things would need to be more guided to get people on board with the process. I would use suggestions in the Maker Day Toolkit 2 to help accomplish this goal. I like moving toward design thinking because it makes it real. You try to solve a problem while at the same time making, which is really cool. One last thing is the design of this classroom. It is amazing and makes me want to rearrange my classroom more. Would definitely need a layout for a maker day as well. Maybe this could be a design challenge for students? I have seen posts of others doing it. Students could redesign the layout of the classroom to fit their needs and the class could vote on the best design. Josie and Gerald both made great comments on my blog that had a somewhat similar undertone. Things go out of date very quickly because our society is just evolving too fast. There are great intentions behind the standards but they just aren't practical in the society we live in. I believe the new NGSS science standards look very promising, in that they allow more teacher creativity and aren't extremely narrow. Jeff wrote about student empowerment and I really liked the way he wrote his post. I wrote about student empowerment a little bit on my post. I like how he related it to coaching. A coach isn't the coach because they are the best at the sport. They coach because they are good at motivating athletes to achieve at a higher level. They provide encouragement, suggestions, and sometimes even help other athletes help each other. I feel like my biggest role as a cross country coach is to always be positive and encourage my runners to keep going. My other role is to convince runners to not always run with friends but to make sure they are challenging themselves sometimes as well. I'm not a coach because I am a great runner. I think as teachers we need to change our roles. We are teachers because we want to help students succeed. When we start to focus on this goal I think it might change the way we teach. Teresa first talked about a very positive environment she was able to achieve in one of her classrooms. This is a very good point to make because without a positive environment I don't think you will ever be able to teach more than you know. Students won't feel comfortable and will refuse to work to help the classroom. It goes with what Jeff wrote about in empowering students. We need to help students feel like they can do things and in turn can help and teach others. It is hard to build this environment in a MS/HS classroom where students are in and out all day long. Next year we will have less classes per day and they will be longer. I'm hoping with this change I can work to provide a classroom where students will take more ownership. Teresa also talked about how we teach, and that determining if we can teach more than we know. If you lecture it will be nearly impossible to teach more than you know simply because the classroom is focused on the teacher and what they know. If the classroom were student centered then you can have more than one teacher. Everyone can be a teacher and depending on the classroom that could be 20-30 brains working together. It goes with the saying "2 brains are better than 1." 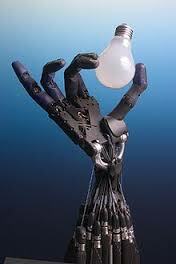 If we combine all of this knowledge so much more can be accomplished than on our own. Each student will have their own unique set of skills and teachers could really capitalize on this. I definitely think that if a teacher sets up their classroom in a way that is student centered, then teaching more than you know is easily possible. When students are empowered and feel like they have an active role in their education they will take it. They also like to help each other, if given the opportunity. This is where the first days of school are important to set up a positive and encouraging environment. ​Essential Question: Can you teach more than you know? I think the better question is are you willing to let students learn more than you know? "Continually ask yourself, 'What can my students do instead of me doing it? How can my students be agents of change rather than objects of change? '"(Martinez & Stager, 2013) I think this is a challenge for any teacher. I know personally it feels hard because the situation is out of our control. Students are required to meet standards and if we, as teachers, don't help students meet these standards we aren't doing our job according to the state. When you give control to students they learn, maybe even more than we could teach, but it may not relate directly to a standard. It may be hard to show what students have learned, and this is where it is hard to encourage more individual learning paths that involve giving students a say in their education. I think a big issue right now is how to effectively implement technology into the classroom and use it to enhance learning by incorporating areas teachers may not be strong in. A key issue is making sure we use technology to leverage student interest. According to Hudson (n.d.), "75 percent of teachers feel they understand how students want to use technology as a learning tool, but only 49 percent of their students agree." So there is a big divide in teacher and student perception. "Teachers are preparing students for a world that none of us want to live in, and one that doesn’t exist anymore. We know that all kids are individuals, and yet in schooling, our public officials and administrators expect them all to be the same" (Hlubinka et al., 2013). We aren't asking students to help with the learning process because we believe we know what is best. If we ask students what they want, they would be glad to tell us what apps are "in" right now. Then we could incorporate this into projects or class content to help build connections that match student interest (Hudson, n.d.). Students tend to believe in themselves and work harder when the interest level is high. This leads to a growth mindset allowing students to experience failure and take it as a learning experience, rather than to believe they have failed. If we can imagine schools in a new way where student opinion is valued and incorporated, "schools can become places where students learn to identify their own challenges, solve new problems, motivate themselves to complete a project, engage in difficult tasks, work together, inspire others, and give advice and guidance to their peers" (Hlubinka et al., 2013). The key to remember is that "it’s not the technology that engages or empowers, it’s the outcome of students (or anyone) doing meaningful work. Meaningful to themselves and to the community they are in. Empowering because someone trusted them to do something good and they shouldered the responsibility. Engaging because their passions are made real...If you never allow a student to make an independent choice, you will certainly not end up with empowered students" (Martinez & Stager, 2013). If we can find ways to incorporate technology into curriculum in meaningful ways then students will be able to learn and show us things that we never though possible. This week I have worked up to project 7, which I am still currently working on. For some reason the 1st button is not working but the other 3 are. On my own blog post Gerald reminded me of the importance of wording and making sure everything is clear to students. You can't leave any ambiguity. I love how Josie used the categories like in the Dallas makerspace wiki we read. It seems easier to conceptualize. I thought about doing this after I wrote my blog but decided since I was done to just leave it for now. I can always make it better for the final project. Going back and reading my rules it just seems like so much. I know they are all necessary but I wonder if I created a few categories if it would look more visually appealing to read? This way students might be able to ignore a category if they aren't doing a project that deals with those rules. Anastasia also had categories for her rules. She only really had one makerspace rule: "students are inventors and creators. They take charge of their own project and make mistakes and learn from them as we go along." All the rest of her rules fell under other categories. I think this is a really good approach because otherwise students just see a lot of reading and will choose not to read it all, if any of it. She will still cover all of the necessary rules but it will just be easier to read. ​Jeff also categorized his rules. All 3 categorized their rules differently but it makes the rules easier to read. I now have some good ideas as to how I could change the arrangement of my rules to make them more manageable.